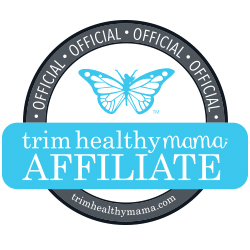 Getting and staying on plan with Trim Healthy Mama sometimes feels like a lot of work. Sometimes you kinda want someone to just tell you what to eat with a Trim Healthy Mama meal plan, right? (and Pearl and Serene totally do with the 8 amazing sample menus in the THM plan book! Woot woot!). 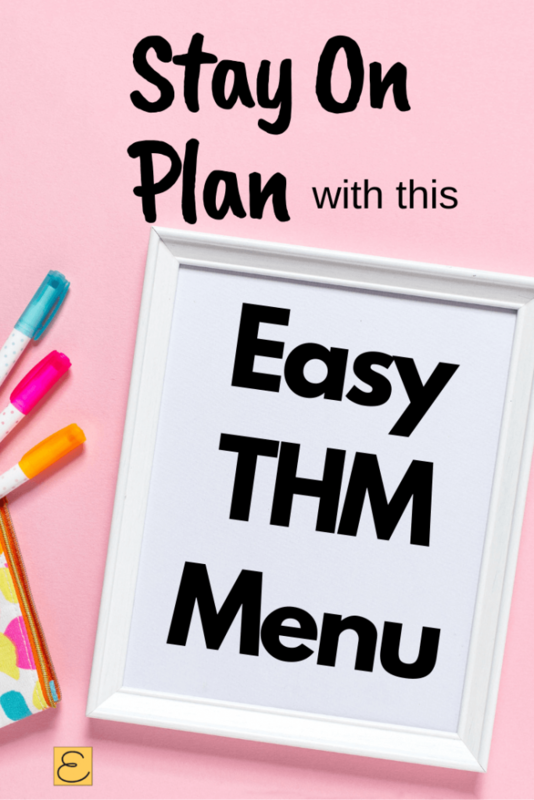 Even better than just telling you what to eat, can I teach you how to THM meal plan with this super-easy, super-customizable THM meal plan? This Trim Healthy Mama meal plan makes it easy to stay on plan every week by focusing on meals that YOU can customize to your life, budget, and taste buds. This THM menu was created when I was super busy, and the busy-ness made me fall off plan in favor of Hot’n’Ready pizzas. Have you ever heard of housewives from the 1950s who made meatloaf meal every Monday and had it ready at 6pm on the dot? That’s how this menu plan was born, and it’s so easy to stick to! In less than 2 months, I lost 8 of the 20 pounds of baby weight from my second THM pregnancy. I’ll give you suggestions for each meal and share what my family likes, but you can totally sub ANY on plan meal that fits your taste buds. If you need an S, E, or FP, there are recipes that fit into any category. Perfect for juggling fuels to help you lose weight and give you variety. If you struggle with E meals, it’s super easy to make sure that you get at least 2 E dinners in every week. Brown rice pairs perfectly with the Tuesday or Wednesday night dinners. 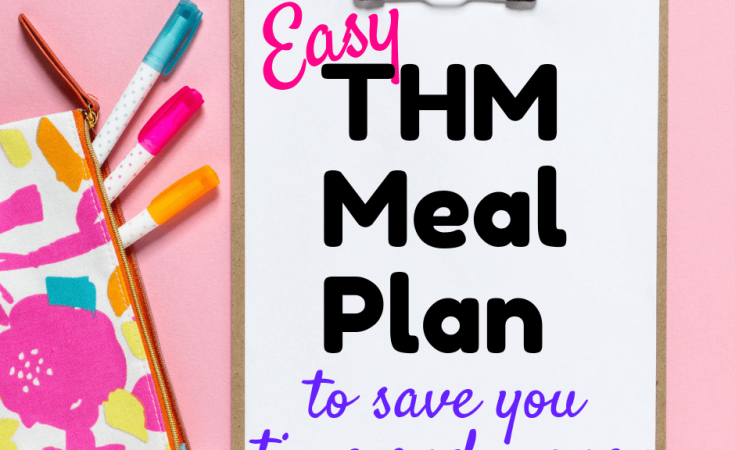 This THM meal plan helps me to stay on plan effortlessly, and it’s because of a potent secret weapon: Eliminating Decision Fatigue. 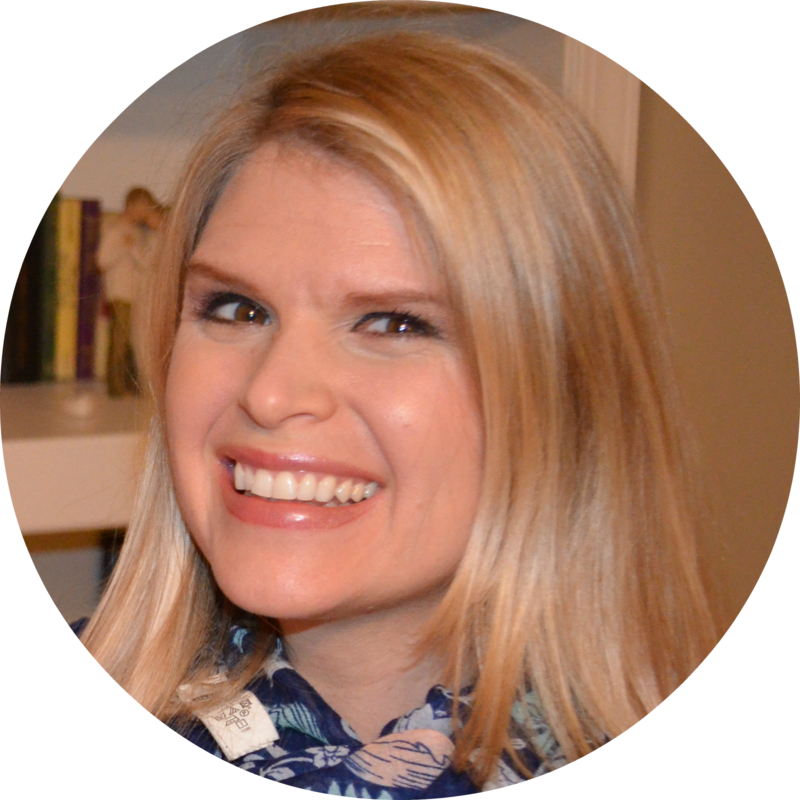 I’m an integrative medicine physician assistant, and I want to put the power of some cool psychology research into your hands to help you stay on plan! Decision fatigue is a theory in psychology that people often make worse choices after they spend a period of time making lots of choices. This plan circumvents decision fatigue by having a set dining schedule for weekday dinners. By the time dinner rolls around and you’re tired from making decisions all day, you don’t even have to think about dinner. You don’t need to squeeze out some will power to stay on plan. You just make a meal that you know your family will love. I was pleasantly surprised at how quickly I’m able to grocery shop with this Trim Healthy Mama meal plan! Because my weekly menu is similar, I’m buying many of the same items. I use Walmart grocery pick up because then I don’t have to get out of the car with my two little ones! I also get my Aldi groceries delivered to my house through Instacart. When ordering online, I often add many of my items saved to my favorites list to save time. If you haven’t tried Walmart Grocer Pick Up yet, you can save $10 off your first order HERE! You can take advantages of what’s on sale, what’s in your pantry, and what’s leftover from last week’s menu. Stock up on meats, seasonal veggies, etc because you can easily work them into your menu. This Trim Healthy Mama meal plan is easy to add to what’s in season, which is actually really good for healing or preventing leaky gut. (I’m an integrative medicine physician assistant and you can read more about leaky gut HERE). Go shopping in your pantry! Right before you go grocery shopping, you can check your pantry and include items that you know need to be used up. We’ve been getting yummy ButcherBox antibiotic-free meat, and the cuts of meat change every month. This easy plan lets me work the meat into each week. Does your fridge ever look like mine? A lone container of sour cream that’s partially used. I don’t want to throw it away because I paid good money for it, but I didn’t plan any meals with it and it’s not just an item I randomly put on everything (unlike cheese and any S meal). This Trim Healthy Mama meal plan totally fixes that!! Because the structure is similar every week, jars of salsa and containers of sour cream get loved and used every week, even with different recipes. And my poor random collection of not-totally-finished-off veggies gets used up on stir fry night! This is a really simple plan, but I think its power lies in its simplicity! Monday through Friday, each dinner has a theme. Each theme can accommodate an S, E, or FP meal for variety and to take advantage of weekly sales. Dinner is the biggest time for decision fatigue since you’ve already been making decisions all day long. Select one dinner recipe for each theme for the week, and write it down in your planner. Each week, pick 2 breakfasts that you like to alternate on weekdays. For lunch during the week, have leftovers or a salad piled high with S or E toppings. On the weekends, try something new or you can make something that takes more time. This menu is meant to be adapted to what you like and what works for you. Feel free to switch out theme nights for something your family will love. For convenience sake, I’ve included some “Frankenfoods”– already prepared foods to make life easy. Just keep in mind that Frankenfoods can slow down weight loss if you use too many (I’m looking at you, Joseph’s pitas and Dreamfield’s pasta!). It’s recommended to use Dreamfield’s just once a week (so no leftovers of that one!) and assess your own reaction to it (especially if you’re a diabetic). This plan can easily be done with no special ingredients, no Frankenfoods, and all organic stuff if preferred! Below is the basic meal plan with suggestions for different meals. This is just any comfort food, so it’s almost always an S dinner around here. Lately, I’ve been on a meatloaf kick or pork chops and radishes boiled in beef bone broth. Fish Tacos- lately, I’m hooked on these simple tacos. I cut up tilapia and cube zucchini, put it in a pan, cover with Creole seasoning, and bake at 400 for 20 minutes. I eat them wrapped in romaine lettuce leaves and topped with yummy tacos toppings for an S.
This is stirfry night to get in lots of veggies and save money with inexpensive brown rice! You can always use zoodles (spaghetti-ish noodles form zucchini) or spaghetti squash for a low carb “pasta” option. I make zoodles with this spiralizer or super fast with this. I usually make crossover pizza for my skinny husband and growing kids, and you can read more about it here. Sometimes I have it too since a good crossover can keep me happy to be on plan. I also make a pizza on a Joseph’s pita or baking blend crust for a nice S.
If I feel up to cooking, this cauliflower pizza crust recipe from my old website is amazing! I usually have leftovers or a salad. Is your house like mine at lunch time? Mine is a wild card since the baby only has 5 teeth and my 4 yr old has strong opinions about food. Salad can be super fun! You can grab a rotisserie chicken and alternate between E and S salad toppings and sides. Pick two things that you love and alternate them for the week. Honestly, in the two months that I’ve been using this easy Trim Healthy Mama meal plan, I’ve had oatmeal or eggs pretty much every week. Remember, this is just your weekday staples. Whatever sounds good to you! Try a new recipe, go out to eat, THM’ify a family favorite! I hope that this helps you! Please feel free to use this as a template for you and adjust anything that needs it to fit your life. For even more fun stuff to keep you on plan, check out all my THM resources to keep you happily and easily on plan. There’s a giant list of easy E meals and speedy S ones, budget-friendly ideas, and even kid-friendly lunch box ideas! Supercharge Your Weight Loss- Need a little extra “oomph” to help you stay on plan? Several of my friends recently introduced me to HealthyWage. If you’re losing weight well with THM or if financial rewards motivate you to stay on track, then HealthyWage is perfect for you! Stay On Plan with THM with My THM-Friendly Planner- Staying on plan and losing weight just got a TON easier with this amazing health and wellness planner! As a holistic healthcare provider and 4 year THM vet, I created this planner to help me stay on plan effortlessly! Grab yours HERE! How I Get Special Ingredients FOR FREE– When you do THM, it’s super fun to use specialty ingredients to try new recipes. And I get mine for FREE from Amazon by using Swagbucks to get free Amazon gift cards. Swagbucks is totally free to use! Sign up HERE to get started with Swagbucks and get a $5 Amazon gift card right away! Sharing is caring! Click HERE or on the image below to Pin It for later! Hey I love this idea for sure. My biggest concern is the amount of Frankenfoods you are using. While they can be used on the plan they are too be limited but I’m sure you know that. For a new person, it may limit or stall weight loss and they don’t realize it. But I love simple and this is for sure simple.